In February 2018, a report released by the Inspector General of Veterans Affairs contradicted his claims. It found Shulkin and his staff committed ethics violations in planning and executing the 10-day international excursion, by altering emails and making false statements to justify the accompaniment of his wife on the taxpayer-funded trip. The VA paid over $4,300 in airfare for his wife alone. The Inspector General’s report also found Dr. Shulkin had inappropriately accepted tickets to Wimbledon worth thousands and had directed an aide to act as a “personal travel concierge” for the trip. In his op-ed piece, he feigns ignorance, “I am a physician, not a politician.” Based on my personal experience, this is a classic tap dance move by the man who should be known as Dr. Wimbledon. Just over a year ago, I met Dr. Shulkin in his office while working in Washington DC on behalf of independent physicians. A highly esteemed colleague of mine previously worked at the same hospital with Dr. Shulkin and scheduled a meeting to discuss healthcare reform. My colleague asked for a “wing woman” and I happily tagged along. Knowing their shared history, an exchange of pleasantries seemed far more likely than the haranguing with insults that ensued. In my opinion, Dr. Shulkin was one of the most pompous men I have ever encountered. Suddenly, he was more politician than physician. Dr. Shulkin said “physicians have no idea what they want” as if he was never one of our kind. In the middle of his tirade, he took a breath. Unable to hold back any longer, I jumped in head first. Whether shocked by the exchange of reasonable ideas or simply surprised at a physician devoid of fear, my comments stopped him cold. He replied, “huh, that might work.” Brilliant, Sir Politician. I wanted to respond, “if you were the last man on earth, holding the very last morsel of food, I would happily chew off my own arm before giving you the satisfaction of winning.” Instead, I gritted my teeth, smiled, and choked out the word, “gladly.” Obviously, I will not have the opportunity to visit his office again. He closes his disingenuous opinion piece with “it should not be this hard to serve your country.” Actually, Dr. Shulkin IS hard. Very hard. You are not a veteran yourself, so how could you have any idea what it is like on the battlefield? While selling the notion you were fired for your stand against privatization, that is hardly what happened now is it? You did not act with “the utmost integrity” in support of the 20 million U.S. Veterans. You were charged with fixing a dysfunctional system built to serve a population who have devoted their lives to teamwork and sacrifice. Our veterans deserve better than the healthcare currently being provided to them. While some vilify President Trump for his decisions, let me assure you that firing Dr. Shulkin from a position he should not have held in the first place was great for America – and our veterans. Lets hope this fellow can actually streamline the VA without compromising the health care. At least he will understand that our veterans are aging and their health care costs do as well. These men and women were injured serving our country and deserve the best our nation can provide. However, being a practicing physician does not automatically translate to being a good administrator. Lets hope he can navigate around the politics and do his job well. Our veterans deserve it. I agree with most of your comments. I am against privatization but believe in allowing vets with no other option private care when necessary. Why would he and his staff alter emails if everything was “above board”? I had far more freedom at BCBSRI. No question. We weren’t even unionized. That being said, when we downsized, we were criticized, but that’s far different. There are so many ways that any secretary, including that of the VA, can be stymied, from political to budgetary constraints, to presidents with questionable vision. Barry, I’m fascinated how much you want to give him the benefit of the doubt. “I’m skeptical at how much power he had.” He could have told us that his efforts at sweeping change were stifled everywhere he turned, instead of claiming his stand against privatization got him canned. I do not support privatization either, Jim. 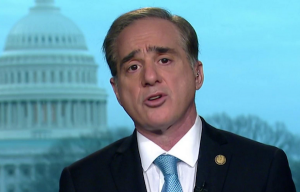 Shulkin claims he was fired for being against it, i am pointing out that may not be the reason. He was not a good fit for the job in my opinion based on having run a hospital. Unfortunately, THCB provided no affiliation. The phrase “representing independent physicians” presumably means a particular group with a particular agenda, which could be anything from the AMA to Physicians for a National Health Plan (doubt it) to the Association of Physicians and Surgeons, a group that makes the AMA look like a bunch of liberal wimps. I’m not justifying Shulkin’s behavior, but the politico-medical context would be helpful. Always the skeptic, Michael. Your point is fair. I thought everyone knew I am part of the National Physicians Council. I apologize for not being more transparent. My views are my own and not endorsed by any specific group. I hope that information helps you place my post in better context. I am not a member of AMA, AAPS, or Physicians for anything. I am however a member of Practicing Physicians of America which is currently working on a movement called #physiciansrise. You should check it out. You will hate it. It goes against everything you believe about physicians. I agree with you Barry about supplementing the system with private care. I don’t support privatization. I do not believe Shulkin was fired for the “privatization” issue. In response to your earlier comment, it doesn’t cost $122k to go to a medical conference Barry. That is more than I make in a year. That is money paid out by taxpayers and it is frivolous waste in my humble opinion. Niran, all cabinet secretaries have a security detail and there may also have been some aids with him. We don’t know all the facts here. A lot of these stories get blown out of proportion by people with an agenda. Personally, I don’t care if he took his wife with him. The VA’s budget is $200 billion a year and it has 360,000 employees. All of these people at this level take huge pay cuts to serve their country. The cost of the conference is much ado about very little or nothing in my opinion. We don’t know all the facts. He had many chances to say things you said above. Those are all reasonable. I wonder why he clammed up about those Wimbledon tix? Nothing beats the marriage of arrogance and incompetence. Not sure what the objection to privatization is anyway. Why not let those who serve get the best available care? If the VA aimed to build a superior system for veterans, they would have done that by now. Well, now that he is fired, he needs to stop whining and complaining about it, and lead with solutions…if he even knows what he wants. There’s privatization and then there’s privatization. It would be very difficult to find the expertise in battlefield injuries and their complications anywhere outside the VA, and it would be a disaster to disband those centers of excellence. Good private insurance would work for some vets, but the danger is that it would just be a profit-oriented inferior version of Medicaid managed care – and that would be a tragedy. That sets a very low bar. Everyone needs to start somewhere. It’s as good a place as any. I am lead to believe that persons who chose to live within tightly controlled arenas eventually lose their capability to communicate with empathy. Of the four most important attributes of a Caring Relationship, empathy is the most important. Verified many years ago by Carl Rogers, Ph.D., the other attributes are Warmth, Non-critical Acceptance, and Honesty. They all become more valuable when co-occurring for long periods of time.